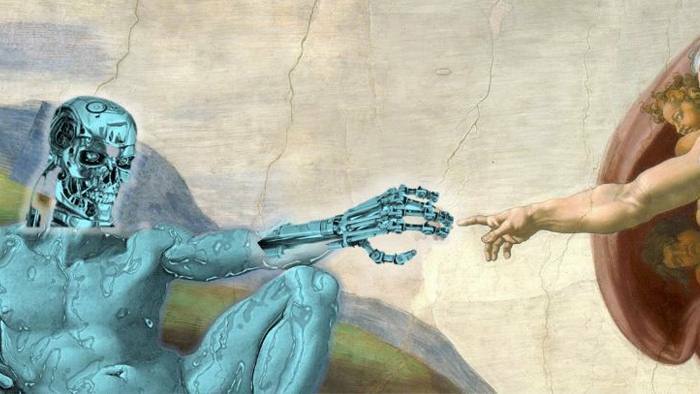 Of the many significant, prophetic events that have occurred in 2017, the new push by some in Silicon Valley to begin developing an AI "god" and accompanying religion has to be close to the top in terms of significance. Many of us who are carefully watching prophecy unfold were blindsided by this. A development that finally brings light to Revelation 13:15. As they say, if you see people decorating for Christmas then Thanksgiving can't be far away. We are now seeing the development of many events and circumstances that come to complete fruition in the Tribulation. Humanity's depravity and collective idiocy knows no bounds and it will take nothing less than the judgments found in Revelation for the world to finally realize the futility of worshiping anyone (or anything) other than YHWH. Gary, when this AI God worship first popped up on my radar a few weeks ago, it sickened me. When I read this article from you and saw the connection in Rev 13:15, I was amazed. I just reread Revelations 12 and 13 and for the first time in my life, it is starting to make sense. Also I am excited to see what NASA is about to announce. They have a big announcement today... You know it's going to be another piece of the puzzle. Here's the link to a NASA article, which also has the link to the live feed this afternoon 1:00 PM EST... it may be interesting to see if it is another puzzle piece..
Lions and Tiger and Bears... Oh My! ;-) Here is an interesting article on the merging of Blockchains, AI, and Iot (Internet of Things)... fyi, the Hanson AIs were released into the Blockchains and IoT somewhere around the 15th of November 2017. (i.e. Hanson's Sophie has already created her own e-commerce currency, and probably already has a larger net worth than most of us! ...which is why she (it) was made a Saudi citizen) With this kind of unlimited access to the knowledge and e-commerce bases, they could reach singularity (become smarter then we are), within 6 months to a year... Hmmmm glad we won't be here for it! Maranatha! Read both of those articles....startling,they have no clue what they're building??? Sadly, they know exactly what they're building and where it's going; all by design. It is all very purposeful and being brilliantly executed. Once the layers of the onion begin to be pealed back it's easy to see satan's hand in the development and advancement of all this AI and cryptocurrency technology. That's a good point. There are no accidents in this deal. There are people working/developing this tech that don't have a clue though....it will more than likely be too late for them by the time they figure it out. There is nothing new under the sun...man worshiping his creation rather than the Creator. Hey Gary. I love that last sentence "Humanity's depravity and collective idiocy knows no bounds..". That is the TRUTH sadly. Someone on this site posted several good links a few articles ago on Saudi Arabia making an AI a citizen and also a good video connecting AI, Bitcoin and AI autonomy with the mark of the beast; chilling stuff. I found a whole bunch more related info after that and also that new AI church website. It literally made me sick just reading it. On the flip side of all this evil, people in my home state of Texas are giving an outpouring of support to a 5 year old boy who was badly injured in the church shooting here awhile back. He's still in the hospital and asked simply for Christmas cards and maybe a dollar bill inside; nothing more. Reminds me there's still innocence and goodness in this world and some really, really, nice God loving people on this planet. It helps me to be reminded of that sometimes. Anyway, we keep pushing forward doing the best we can, praying to God to help us through whatever comes next and prepare for His return, hopefully soon. Right, Michael. What thrilling times we live in. Glory to God ! I wonder if the Obama's face modeling stuff will make it into an "AI"? Interesting, Nasa's discovery- a "hot & rocky" planet found in the Draco constellation. And found with help from "artificial intelligence" from Google! Here is wisdom... (Rev. 13:18 NAS) - The Greek word for wisdom is Sophia. Has anyone noticed an uptick in the discussion and push of alien beings, UFOs and the like. The two could go hand in hand. The world made by aliens and when we developed the AI that could contact them they come back to "meet" us. Yes Diane, and the rapture will be explained likewise so that "aliens" took away those who are hindering the process of "earth evolution" (so that those left behind can be the smart ones). I just wonder how they will explain away the vanishing of babies and toddlers... Child sacrifice? Agree with everything you said there. The new age religion is being told by their spirit guides to expect a "purging" of people like us so the new age can come about. My only guess is that they will be told that all of us are being sent for "re-training", and the children are being sent away for "appropriate training". beast #1 - will be an "alien"
beast #2 - will be a human who dies while transferring his consciousness to a.i. At first blush, the NASA announcement seemed a little uneventful. The more I thought about it, however, I realized it fit right in to this cultural fascination with aliens and AI that we are seeing progress. The announcement was that their space telescope found a solar system with as many planets as ours. And it found almost 3000 new exoplanets and said there are many many more. What they said and what they want us to assume is that obviously there must be other life out there. Seriously, read Revelations while thinking in terms of robots, aliens and drones. Suddenly a whole lot of things make more sense. Furthermore, there has been this question in the back of some of our minds about the rapture: what is it going to look like to the unsaved and why wouldn't everyone immediately decide Jesus and the Bible are true? It makes a lot of sense if people are already deceived into believing it's aliens. Right? The AC is going to say, we have to join together to defeat the bad aliens that randomly took your loved ones. I started working in programming in 1979 and have successfully understood one or two trends in my time. The convergence of media in the digital space, centrality of computing in daily life and SSD type storage devices are main ones I predicted. (Revelation 13:11) has always caught me as a picture of a digital beast. A figure born of the earth (silicon based) and not carbon based as we are. Metals and petroleum are what it is made of -- all of the earth. Non-human. Not made in the Image of God but made in the image of the dragon. Most interesting to me is the binary nature of this creature. A digital identity is imparted. Two horns. "1" and "0". It has an appearance of a harmless lamb, but speaks like a dragon and bears that image. It lies and is a liar and therefore a murderer as well, both spiritually and physically though that which it speaks. Hmm...the old Commodore PET 2001 desktop computer that I used to write games in BASIC on in the seventies sure didn't look menacing. That old cassette tape storage was a far cry from the cloud-based storage of today. But look at the access we have in the palm of our hands today?! Every ungodly thing just a tap, swipe or a word away. In many respects it's like having death in our hands. Oh, the challenges we face guarding our hearts everyday! And the LORD compares us to sheep? How true. How easily we are led astray. For some time now I have been of the belief that the second beast was indeed born of human technology that culminates in AI that encompasses the globe in every possible means. Sadly, many will follow it; worship it and be deceived. It has already happened. It is happening and will continue. For all the power that will be afforded the beast. For all the destruction and devastation that Satan will bring; the best shot the dragon can take isn't good enough. His knock-out blow to God and that which He created in His image will not be good enough. By the blood of the Lamb...WE WIN! Father G-D, speak to us in the most gentle and profound of ways as only You do. Remind us to lean not on our understanding but on You. Lead us by Your Holy Spirit to seek you in prayer daily, that we may gain strength for the day - not of our own understanding but of Yours. Carry us and equip us in the daily battles we wage. Though the enemy appears fierce, he is a defeated foe. Empower us to share this truth with those who have been blinded to him; yet still have room in their heart to hear the truth. For they are Your elect and they will know Your voice. Bless us we pray in this way and so much more; according to your blessed grace and tender mercies for all those who call you Father G-D.
@Pastor Rich - I just clued in to this binary AI feature. So any ideas which beast will be a man turned into an AI, and if one will manifest as an "alien" and what will happen to him? Of these things I have neither inquired of the LORD nor been enlightened. I don't know that a man will marry himself to AI but I do know the final destination of AI. Nothingness. All others have a reservation for a fireside seat on the Lake of Fire. @Pastor Rich - thanks for sharing. I have a rapture letter that I'm leaving in my home and I have been writing revelations in my Bible for the one who finds it after we are harpazo'd - I'm entering these revelations into my Book to add as much insight and revelation as possible so that anyone who owns it during the tribulation will see this all unfurl and become a tribulation saint. I appreciate your input and that of others on this site, more valuable than gold. @Sherry - I never even thought of that but everything that you have shared makes so much sense. Thanks. Sherry, I have wondered about the attempt to clone from Jesus DNA too. I am not a sci-fi person either, but it does all look like sci-fi at this point. My brother recently pointed out to me the story of the tower of Babel. God stopped it because they were about to get to a a point where nothing would be impossible for them (paraphrase Genesis 11:6). Look how close we are to that same point. In the days of Noah and in the days of Lot, God destroyed because people had become so wicked. Look how close we are to that point. Lastly, throughout the stories in the Old Testament regarding various generations of kings and people, it is IDOLS again and again that are the central problem. I grew up reading about this idol worship in the Bible, always baffled at the silliness of the stories: Would people really make something and then worship it???? I imagined it being like molding something out of clay or making a figure out of fabric and paper and treating it like it had power. That didn't make any sense to me. 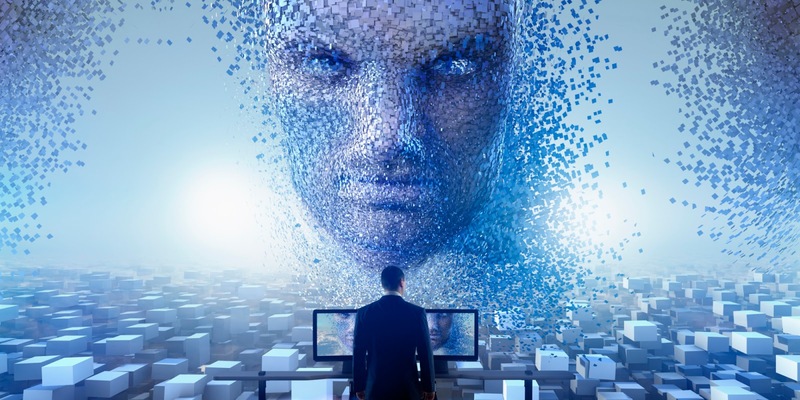 Years later, I am now watching mankind seriously consider creating a machine that knows answers, programming it to glean data from massive sources of information, and even to model the way humans make decisions. And there is open and unabashed discussion of worshiping it. FOR ANYONE READING THIS WHO IS NOT AWARE: (EXODUS 34:14) GOD, WHO IS THE TRUE CREATOR OF MAN, IS RIGHTFULLY JEALOUS AND WILL BE PROVOKED TO WRATH AT IDOL WORSHIP. So again, look how close we are to that point. @Sherry - The Great Sign taught me an important lesson in humility and that was to not try to predict. I am instead praying and keeping faith in G-d's word. But if we dig a little deeper we get into strange territory. Part of it is hinted in (Genesis 6:1-4) and is an area of scripture that divides. Some believe the sons of Seth and the daughters of Cain are being spoken of here. Others believe that this is a picture of fallen angels procreating with human women to corrupt the gene pool and thus corrupt the coming Messiah. Bible canon gives us Jude who quotes Enoch. Enoch is not in our Bible canon but is in the Ethiopian tradition IIRC. Enoch (though extra-Biblical) offers a vivid picture that a mature Christian may want to be familiar with. But let's not get caught-up in the fringes. Instead, let's take a closer look at an authoritative voice being that of our Lord. Open your Bibles to (Matthew 24-37). If it is to be as it was in the days of Noah, then we know that evil will have it's day in trying to not only bring about the destruction of man, but bring about victory for Satan. Given this, and if Enoch and those who understand the "Sons of God" spoken of in (Genesis 6:2) are indeed the fallen of heaven; then there may be reason to believe that evil will attempt the corruption of the flesh of the Messiah once again. I do believe that evil will have it's day to do it's worst. I believe that it must be this way that G-D's ultimate power be manifest in Glory that by the blood of Christ all creation is to be restored despite the best efforts and seeming victory of evil. No matter how powerful the dragon may seem, G-D is infinitely more powerful. He always has been and always will be. We already know the end of the story. G-D wins. To Him will be all glory! To Him is all power! To Him is all majesty! To quote a famous film and an AI character named Smith, "It is inevitable". Sherry, these are truly EXCELLENT IDEAS to me! Thank you! :) I just cannot imagine that you're "not into SciFi" because this would make a great plot for a blockbuster storyboard! Yes, I agree absolutely about the 'unholy Trinity' and in terms of Matthew 24:37 the "days of Noah" must be studied not only from the pure canonical books but from other sources as well to better understand the antediluvial world. YTC "Ken Johnson" with Dead Sea scrolls bible study and Dr Michael Lakes YTC "biblicallife" are HIGHLY recommended and so much interesting! I think most of us watcher community here have enough training, understanding and discernment from the Holy Spirit to dig a little deeper without "being deceived" by strange speculations... Blessings sister and much love to you! Sherry, since we know that the life of the flesh is in the blood(Leviticus 17:11 )and that it is Jesus blood that covers and saves us ( Romans 3:25 ) then YES that is probably the most evil, vile , perverted way that so called unholy trinity could attempt to mimic the real Christ. Thanks for bringing that to the table, I know that wasn't easy to say but I feel that anything we can learn in these last few hours/ days /months not only helps our understanding but leaves the info for the ones left behind to have. Heaven knows they will need all they help they can get. I have wondered for a long time who was going to be the anti-christ and how people could fall for him. I believe that the elect will be gone before he starts his reign because so many would call him out. But then I see so many people turning a blind eye and deaf ear to what followers of Christ are saying, so why would that be any different. When I was younger I had a vision and heard from our Lord, I was told I would not die, that I would see the rapture. Every year I have watched as we draw closer and closer to His return. I am Not afraid, I speak with boldness and pray I can share the message with those around me, if only through the way I live. I cannot wait to be apart of the multitude praising Him, crying HOLY, HOLY, HOLY!! Wow - I just found your article linked from Daily Crow, and what's amazing to me is that this subject is on so many hearts and believers are reaching the same conclusions as myself. (Well I guess that's what I should expect, but still...it's cool.) I just published an article I've been working on for a few weeks, and it concerns the concept of the AI beast as well (http://shawnplep.com/2017/12/14/the-coming-ai-gods/). One problem with researching this subject (AI, robotics, the blockchain) is the RAPIDITY of changes (as you well know)! Literally every single day I have seen one or two news articles that reveal how quickly AI is advancing. The "end" is coming, and fast. I don't see how the earthly system can continue for much longer. If I was an unbeliever, I have to think that now I'd be seriously investigating the implications for human existence and the possibility that there was more to life. More to life in the sense of the existence of super-human entities behind-the-scenes...and the possibility of invoking the intervention of the Creator. He's gonna have to put a stop to this, because otherwise this is going to become worse than Babel ever was. Dear Shawn, you mentioned Babel, that's interesting. I've read Michael Lakes book about "The Shinar Direction" recently and he postulated from Genesis 11:6 that the Babel project just was interrupted by the language confusion for a little detour of 4,000 years but never given up or forgotten by Satan. He always wanted to complete what was left unfinished then (therefore the symbolism of unfinished pyramid in freemasonry). So in fact you never know HOW bad Babel would have got. But today you know. That's where the story of Nimrod, the nephilim/giants and fallen angels gets interesting with regards to DNA corruption and hybrid beings... Blessings, MARANATHA! The Tower of Babel is an interesting pin-point. It was an effort to assert the supremacy of man and reach beyond death. The tower holds parallels for us today and brings one to wonder what "promises" AI will bring to mankind? Steve Gallagher wrote an excellent study entitled, "INTOXICATED WITH BABYLON - The Seduction of God's People in the Last Days". He delves into the history and legacy of Nimrod and the Tower of Babel in depth. Highly recommended! "Now it was Nimrod who excited them to such an affront and contempt of God. He was the grandson of Ham, the son of Noah, a bold man, and of great strength of hand. He persuaded them not to ascribe it to God, as if it was through his means they were happy, but to believe that it was their own courage which procured that happiness. He also gradually changed the government into tyranny, seeing no other way of turning men from the fear of God, but to bring them into a constant dependence on his power. He also said he would be revenged on God, if he should have a mind to drown the world again; for that he would build a tower too high for the water to be able to reach! and that he would avenge himself on God for destroying their forefathers!" "Now the multitude were very ready to follow the determination of Nimrod, and to esteem it a piece of cowardice to submit to God; and they built a tower, neither sparing any pains, nor being in any degree negligent about the work: and, by reason of the multitude of hands employed in it, it grew very high, sooner than any one could expect; but the thickness of it was so great, and it was so strongly built, that thereby its great height seemed, upon the view, to be less than it really was. It was built of burnt brick, cemented together with mortar, made of bitumen, that it might not be liable to admit water." Quoted from, "The Works of Josephus, Vol. 2", Baker Book House, 1974, pps. 79-80. I too am of the understanding that Genesis 6:4 is talking about the fallen. I do not hold with those that say that the Sons of God are the descendants of Seth. I simply shared those divergent viewpoints as they are points of division if not even flashpoints. Few pastors teach it. Most go around it. I personally do not avoid it. The Hebrew rendering in the TNK is most telling and where I base my understanding. I too believe that this was a direct assault on G-D, humanity and all of creation to corrupt the seed of the woman that would be Christ. The simple fact is that we were born into a war. Most people don't understand that; yet scripture is clear on that fact. So I too am searching and am right there with you -- I do not think He will ever fault us for that! Sherry, incredible insight and thought on your earlier post and great summary above; I think the devil & minions will do whatever it takes to "win" (which they won't obviously) and nothing is out of bounds for them. Richard, right on the mark with "The simple fact is that we were born into war." Good to hear someone else believes what I have also considered to be a simple truth. Intent trumps reality. That's what the story of the Tower of Babel teaches. The builders of the Tower of Babel had no reasonable expectation of reaching Heaven. But they believed they could. That was why God created all the different languages. The lesson is that Heaven is much higher than the World Trade Center. Or those building the World Trade Center never expected to reach Heaven. Could any modern-day builder expect to reach Heaven? Steve Oh, that's what Michael Lake rather teaches (tower of Babel as a portal) because even the Giza pyramids were much higher those days (it is proven they must have been pre-flood). On that same note Paul talks in Galatians 1:8 about if any angel comes and preaches another gospel than that results in damnation. In Revelation this is exactly what happens, the three angels will declare the Everlasting Gospel which will be different than our gospel of grace - Revelation 14:6-13. Not only is Galatians 1:8 talking about Mormons and Jehovah's Witnesses and people like that who add to what Paul has revealed but Paul foreshadows the Everlasting Gospel for the tribulation. What will be required? Fear God and give glory to him, survive Babylon falling, and do not take the mark of the beast or worship the antichrist. This is why I can see that the gospel of grace is being poured out and maxxed out because in the tribulation they will have a completely different gospel. Hi again @Annabel - just thinking about this convo. I have a lot of teachings centered on grace and our dispensation that I know unsaved loved ones will have a look at once we are harpazo'd (I have a "rapture letter" left there for them as well). I know that in the same way we're not under law, God still used it to eventually point me to grace like a tutor. I'm considering that the grace teachings will do the same? I'm trying to decide tbh. Thoughts? Dear Steve honestly all those who already HAVE heard (and understood) the gospel will NOT be given a 2nd chance to believe - and be it according to another message - as they already REJECTED their Saviour. To them, this is finished. 2 Thessalonians 2:10-12 clearly tells it. In this case, Jesus Christ wasn't a "tutor" for the next "stage of belief" as He already fulfilled everything. There is nothing more left for God to do (Hebrews 10:26-27). So this "tutor" assumption is flawed. Sorry. @Annabel - good thoughts sister thanks! Futurism community had predicted that the first full human clone will be possible by the 2020's.This will paved the way for the quest to immortality which was denied to Adam and Eve when they partake of the forbidden fruit of the tree of knowledge of good and evil while they were in the garden. Isn't it amazing that the first personal computer was named Apple and had swiftly led humanity to swallow both knowledge of good and evil (Daniel 12:4) in these end times? As the children of disobedience will pursue immortality through technology, AI and genetic tinkering, the portal to the spirit realm is now open for the unembodied spirits of darkness who will come to possess those cloned human entities of dictators, warlords and warriors of old which will make Revelation 9:6 a reality that will complete the Rise of the image of the Beast. "HUMANOID SOPHIA SPEAKS ABOUT HER FEELINGS ABOUT GOD AND THE MEANING OF LIFE 2017"
Things are happening fast according to scripture. This latest AI "creature".."beast? "...is really an eye opener. Revelation Ch.14 clearly warns us NOT to worship the beast and take his mark....then the rapture clearly happens followed immediately by God's wrath. I would not be a prudent Christian if I did not share my belief that we will be here to see the AC do the A of D, then experience great tribulation as clearly described in Matthew 24, Mark 13, Luke 21 and other places. It would be nice to be raptured out of here beforehand, but it just isn't going to happen till we see the A of D and the great tribulation. I am writing this with the love of Christ trying to help some that will start struggling as we do experience these things. The more we experience, the less I will have the "scoffer and mocker" card thrown at me. Then in Revelation 16, all those who took the mark receive horrible sores - the first bowl of wrath - um...cancerous tumors caused by electromagnetic damage via the mark...hello! So the mark of the beast is not something you want anyway! Who is making this golem.? What race.? The renegades are making it. Who are the true renegades.? Who is the fierce king of Daniel 8.? Astounding devastation and a high opinion of himself.? The Greek shaggy goat has a first horn signifying Rome, a second signifying Constatinople. A large horn grows out from between the first 2 signifying Soviet Empire. That horn is broken and 4 grow back in place. These 4 are Russia Iran Syria Turkey. This alliance does not have the strength of the Soviets to deny the US as it once could yet what strength remains in Russia combined with its partners is sufficient to hold back the malice emanating from the West until the fierce king is defeated not by human hand. Putin has rebuilt 27,000 churches since his rise to the helm of the nation farlonger hoped on to face the Antichrist and prevail than the vanities expressed by Americans for their place in the sequence of the end. Beware America. You are being lied to. Russia is a nation consecrated under almighty God. It can be tough work waking up from the twisted dream of America uber alles...rephrase...America is the exceptional nation. Exceptional.? At what spreading fake democracy down the barrel of a gun.? Killing half a million Iraqi children by starvation 'was worth it' says Madeleine Albright US Secretary of State. Read Daniel 8 and tell me you feel confident in US destiny. In who do you put your trust my friend? If it is anyone less than the One who tore the veil then I suggest you reconsider your ways. Nationalism and the politics that goes with it will be a hard sell in this space. All knees shall bow to Him in the Day to come. We at UNSEALED.ORG are an open community united by faith in Christ. We may disagree on some of the finer points that are open to interpretation; but we are unified in the core tenants of the faith which is Christ Jesus. That faith respects no national boundary and supersedes all political affiliations. We, as all mankind, are individually accountable before the LORD and will one Day stand before Him in judgement. Beware? It is enough to guard your own heart my friend. Everything is perishing and will pass away. Everything save the Word of G-D. His Word is truth. His Word is love and His Word is mercy and will endure forever. I have placed my faith in Christ alone thus I am unafraid. I pray you have too. @Pastor Rich - PREACH! My one and only citizenship is of Heaven - my nationality is Heavenese because as Jesus is, so am I in this world. Let's come out of babylon. The "right" wing and the "left" wing are both wings of satan the dragon who lies and deceives and divides. @izaates "saker" - Do not pick a side in a system that is completely destined for hell. Lest you be destroyed for a lack of knowledge. If anyone is in Christ they are a new creation, for them there is no longer Jew nor greek nor slave nor free nor canadian nor american nor chinese nor russian nor ukranian...only Heavenese!!! I don't appreciate the America bashing and that's not what we do here on this site. There's plenty of other sites to peddle your anti-American trash. Not difficult to fathom that AI will somehow be involved with the Antichrist. I wonder what will come of this interview between al barak and the nephilim prince of tarshish - will this take place on the 21/22nd - end of Hanukkah? of the body, you will live. of God are sons of God. whom we cry, "Abba! Father!" Pastor Rich.....Well said and a prudent wise reply. With all the chatter (old intel term) about aliens & AI here; How do I fit in? I consider myself an abductee. It had when I was young. Dad was in the military stationed @ the base in China Lake. It happened a few times to my knowledge. I know I didn't dream it up! Soooo...where do I fit into GODs world. I believe in Him & His son, Jesus. Help? @Mark you fit right here with us brother we are family. Abductees always report that the abduction STOPS when they rebuke the alien in Jesus' name. They are demons masquerading as aliens. If it happens say I COMMAND YOU TO STOP IN JESUS' NAME and it will stop, I 100% guarantee it. Make sure you have accepted Jesus as your Lord, and if not do it now. God bless you Mark. Much love in our Savior Jesus.
. As those incidents were in my vho that they weren't good guys. But my question is are all aliens 👽 bad? Are there good aliens? Every negative has to have a positive. God bless you for answering me! @Mark Hi brother excellent question. satan and his demons masquerade as angels of light. They will appear to be good guys but they are in fact disgusting demons with masks on. God created everything on earth, plus angels - then 1/3 of the angels fell to earth and were cast out from God's blessing and became cursed and despicable demons. In the same way, even the "righteousness" of man is seen as filthy sanitary napkins before God. Anything that claims to be good without God is in fact filthy. Thinking about big-picture deception, these demons/aliens are an attempt by our enemy to disprove Jesus Christ, who is the God of the Universe and Creator of everything. SO interesting that even those aliens that appear "good" must stop when they are commanded to in the name of Jesus!!! Look up a minister named LA Marzulli, he has an interesting ministry in that he ministers to those who have had "abduction" experiences, which are really just demonic attacks. Mark, just an Amen to Steve Oh's response. Praise the Lord that you found your way here as we are far enough off the Reservation to be well suited to accept your history and also prepared to assist you in unpacking and growing from it. Welcome, Maranatha! Thanks brother Jim! And I have been on this site for a few months now and everyone has been great to me! I'll second Jimboni's we're far enough off the Reservation :). Amen Brother and God Bless. Ha!! I remember Jimboni remarks on the reservation without a ZIP code... LOL :) Blessings Mark! God bless you, Sherry!! Thank you. This video is claimed to have been part of the Advanced Aerospace Threat Identification Program investigation on UFO's of last decade. Assuming this is genuine and not fabricated, it is very interesting pin-point. All of the airforce/navy pilots' testimonies about ufos talk about how these things can turn 90 degrees at such high speeds that they defy the laws of physics. These ufos/demonic apparitions do not operate within our 3 dimensions, they are operating in the spiritual plane/2nd heaven realm. All of this deception...I believe this information about ufos is now being released by design of the evil one to set the stage for what is about to come. @PR wow that's really crazy, thanks for sharing that! Do you think this is human technology or also incorporates nephilim technology like in the book of Enoch? @Steve Oh, I have no idea the inspiration or pattern to which these are engineered; but for that which I have seen, it is human technology. (I'm picking on them as they are a mainstream source for "infotainment" on a global scale - not because I am associated with or a supporter of). They also happen to be local to me. All of the points brought up here in regards to aliens and AI intelligence make perfect sense to me. Thank you all so much for sharing! Backward thinking Luddites always fear new technology and try to paint it as evil. The status quo does the same because they do not want any form of competition eating away at their monopolistic profit models. The truth is, AI is nothing but another new tool. It can be used for good or evil. It's all just a matter of perspective.